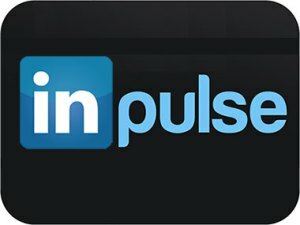 We get contacted by a number of small business owners who are looking to leverage the power of LinkedIn Pulse—and to see their own content featured on one of the world’s foremost publishing platforms. Often, though, these small business owners aren’t quite sure where to begin. Not only does Grammar Chic publish on Pulse, but we assist many of our clients in getting compelling, brand-enhancing blogs onto LinkedIn. What we really recommend is that you call Grammar Chic for a full consultation—but if you’re just looking to dive straight into Pulse, we can offer you a few quick pointers! The first thing we recommend is that you really get to know this platform and what it represents. Publishing to Pulse is not quite the same as publishing to your company blog; Pulse caters to entrepreneurs and working professionals, and seeks to deliver specific and value-adding insights in digestible and actionable packages. Get started by going to LinkedIn, clicking Pulse on the Interests tab, and then selecting Top Posts. This will show you the foremost posts from that day, providing a good opportunity for you to dig in and get a feel for the style, tone, and audience of LinkedIn Pulse. We also recommend checking out LinkedIn’s own list of writing tips, which are all quite handy. When choosing a topic to write about on LinkedIn Pulse, specificity is the name of the game. “Thoughts About Executive Rehab” is not a great topic. “Talking to your Boss About Executive Rehab” is a little better. “Five Ways to Discreetly and Confidently Talk with Your Boss About Executive Rehab” is better still. Remember that the people who read Pulse posts want immediate benefits—and the more specific you get with your topic, the more confident they’ll feel that you have something to offer. This, of course, carries us into the title of your post. A good title is massively significant, as poorly titled posts just won’t get clicked on. Statistics show that How-To and list-related posts tend to do well on Pulse. Question titles (“Why Hire a Content Marketing Firm?”) tend to do poorly. A final thought: Keeping your audience in mind, make sure you’re publishing at a time that will get you some solid readership. Remember that the average professional is less likely to read your post on Friday afternoon, when he or she is itching to get out of the office, and also on Monday mornings when he or she is just catching up with e-mails and getting set for the week. Midweek posts are probably—generally—ideal.